NOTE: Original Bluedio T5 sold by "Bluedio". Bluedio T5, The 5th generation of Turbine shock debut! 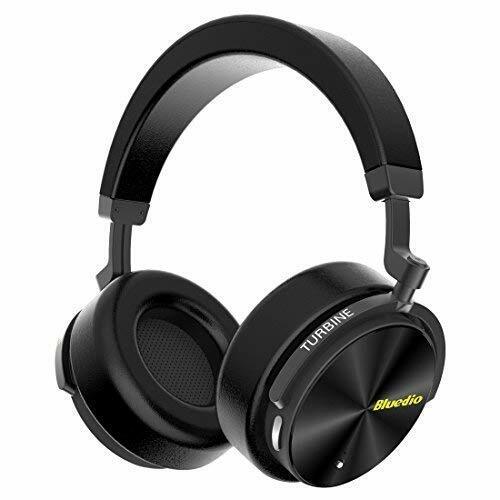 In order to seek a quiet and comfortable listening environment, T5 uses strengthened 4 Mics immersed Noise cancelling, which can eliminate more external noise. It adopts the all titanized 57mm drive units to strengthen the bass. What's more, the fully upgraded and optimized chips reduce the power consumption and increase the using time. 1.Unpair the headphone, remove the pairing memory and then enter the pairing mode and pair again. 2.Reset the headphone: Power on the headphones.Charge the headphones for 10 seconds or so, the headphones would power off on their own(you can see the LED goes out), unplug the cable.Power on the headphones again.And remove the pairing memory of your device,then pair again.